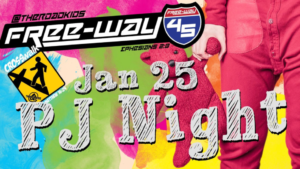 January 25th is PJ Night! It’s also “BARF” night! Barf Night means ‘Bring A Real Friend” and it’s a great reason for your kids to invite their friends. The Crosswalk store isn’t open on “BARF” nights.